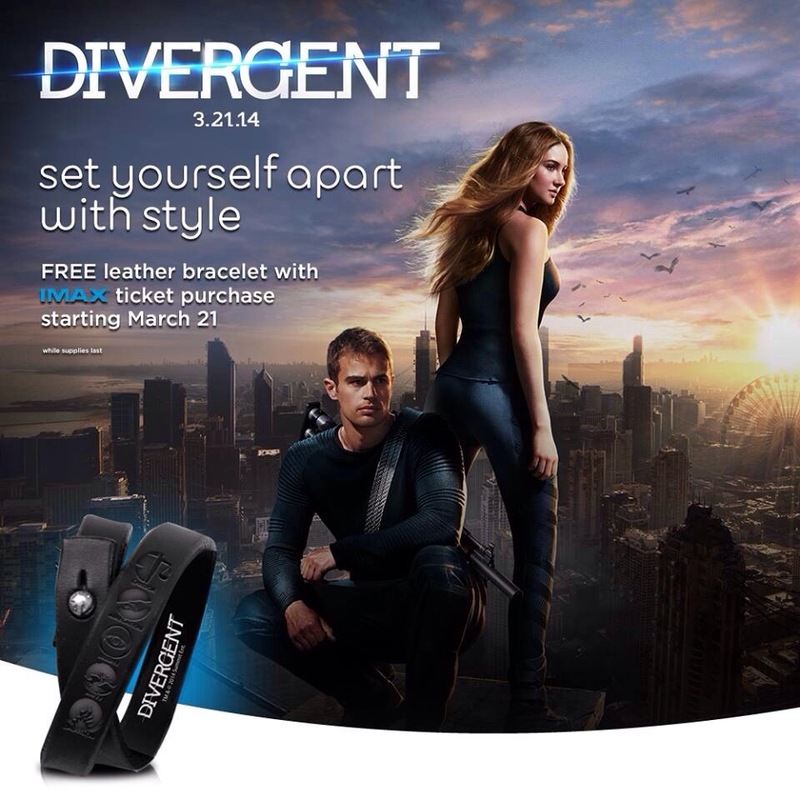 Get free DIVERGENT leather bracelet when you purchase an IMAX ticket! See DIVERGENT in IMAX starting March 21, and take home an exclusive Divergent leather bracelet, while supplies last. Plan now to attend and receive your own faction fashion. This offer is only valid at AMC theatres. 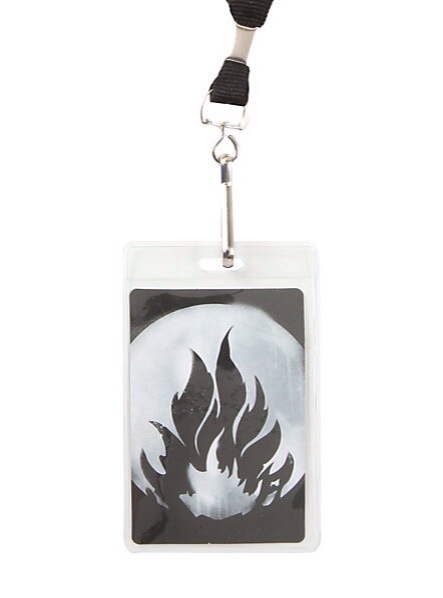 Categories: Divergent Merchandise, Divergent Movie, Divergent News | Tags: amc theatres, divergent movie, Divergent news | Permalink. 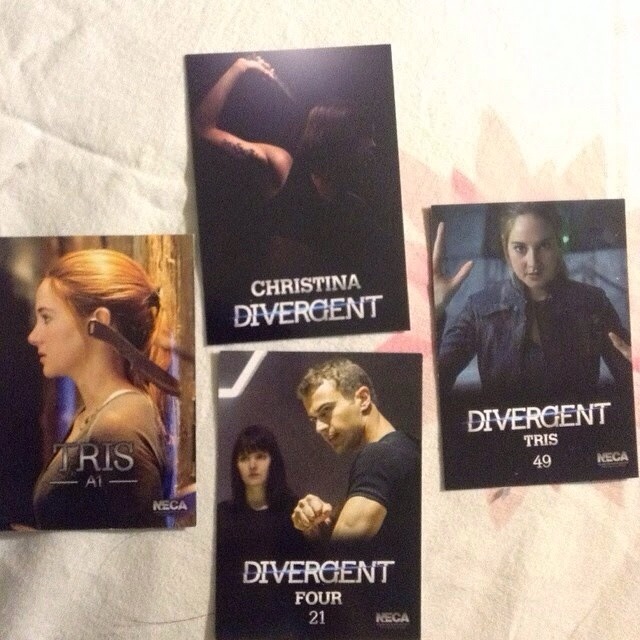 New Stills from ‘DIVERGENT’ Trading cards! 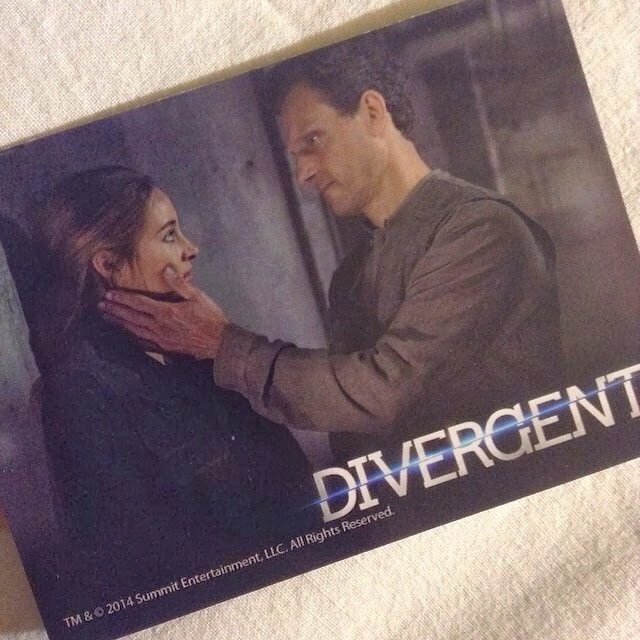 Here are brand new stills from Divergent on the Divergent trading cards. Categories: Divergent Merchandise, Divergent Movie, Divergent News | Tags: Divergent Merchandise, divergent movie, Divergent news | Permalink. 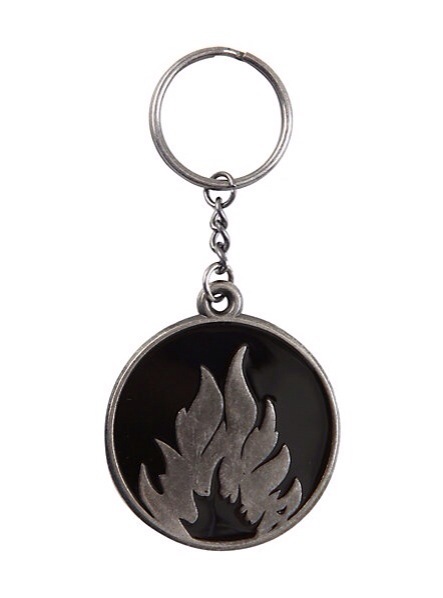 ‘DIVERGENT’ Merchandise appearing in Hot Topic stores and online! 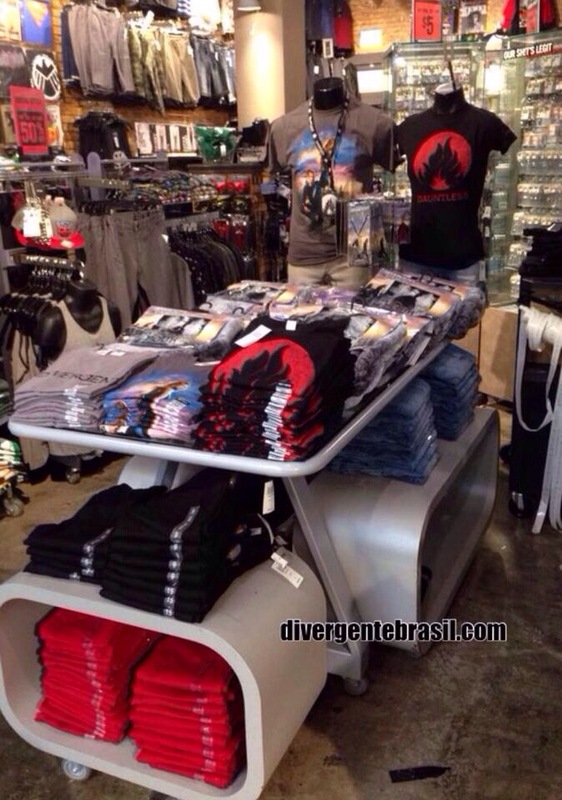 Thanks to our friends over at Divergent Brazil we have a photo of Divergent merchandise in a Hot Topic store in Orlando! Here are a few of the products online at Hot Topic. Click here to check it out and start ordering. 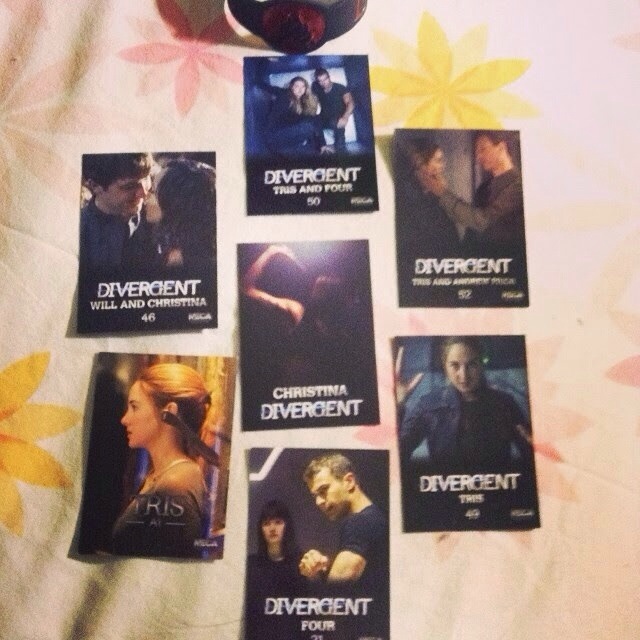 More Divergent merchandise will start to appear as the days go on. ‘DIVERGENT’ Makeup Collection Unveiled by Sephora! 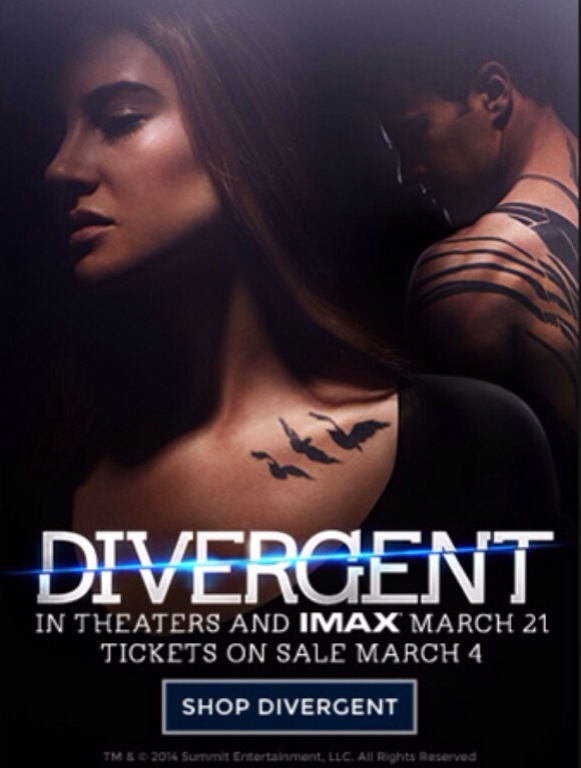 Divergent will soon be hitting theaters in one month. Sephora has just unveiled makeup line for Divergent! The beauty retailer is releasing a “Divergent”-inspired limited-edition collection that’s slated to come out next month. The “Divergent” palettes come in a range of neutral colors that are great for everyday wear. As Sephora’s first movie makeup collaboration, we’re pretty impressed. 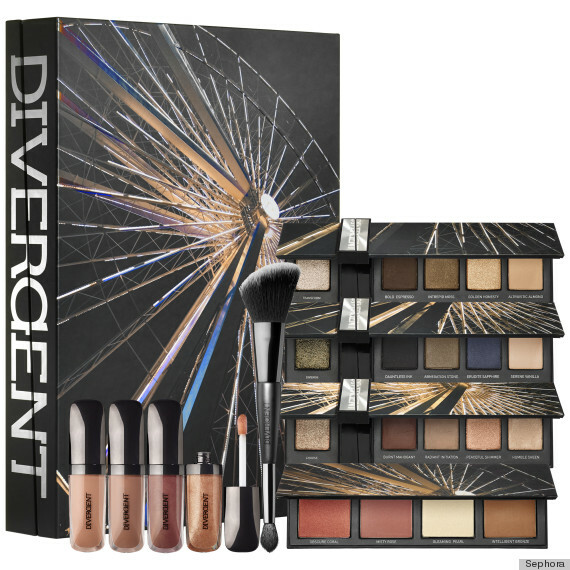 Sets include the Multi-Piece Collectors Kit ($59.50), the Multi-Piece Collector’s Palette ($32.50) and a 7-Piece Nail Art Kit ($27.50), all of which derive shades and blends from the different factions that exist in the “Divergent” world. The most intriguing pieces are the High Pigment Eye Shadows and High Gloss Transforming Shadows that are transparent when dry, but show up translucent when wet. In a press release, the magical eyeshadows are described as “showcasing fluid, twinkling particles that look like they are suspended in air” — so basically, we can’t wait to slather these shimmering pigments all over our faces. You can order the products online in March. 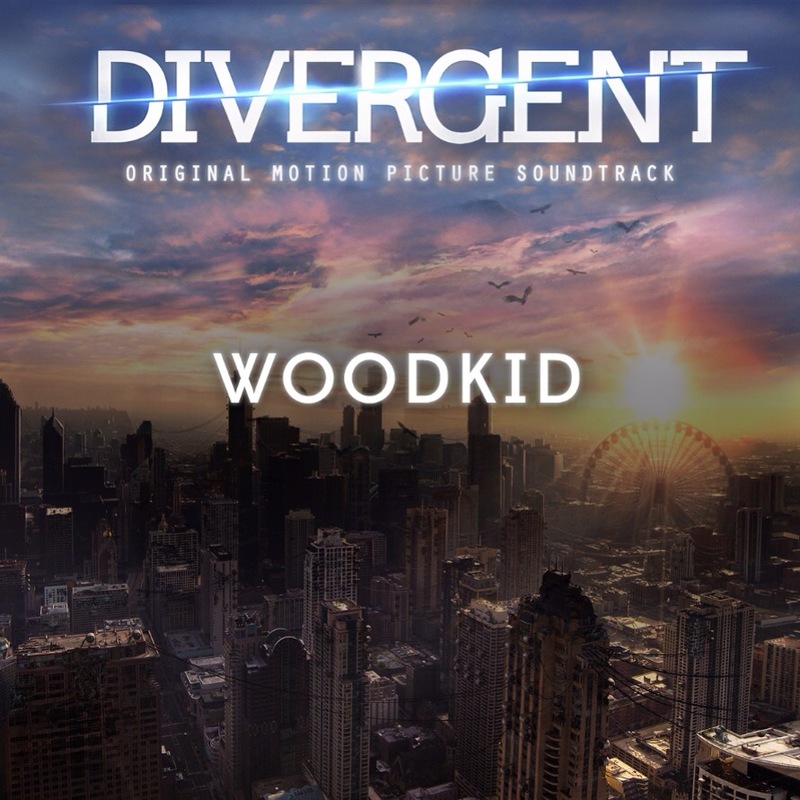 WoodKid joins the DIVERGENT Soundtrack! Interscope Records just announced that Woodkid will be on the Divergent soundtrack. Woodkid has joined Zedd, Ellie Goulding and Pia Mia on the Divergent soundtrack. Categories: Divergent Merchandise, Divergent Movie, Divergent News, Divergent Soundtrack | Tags: divergent movie, Divergent news, Divergent soundtrack, woodkid | Permalink. 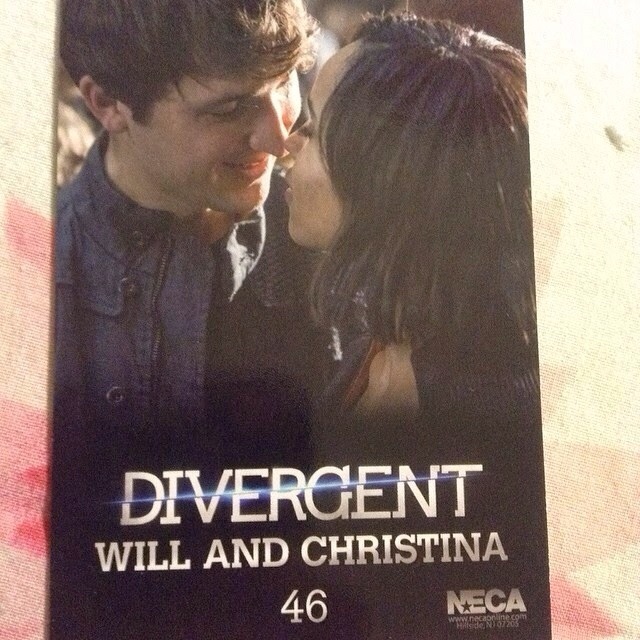 FIRST LOOK at DIVERGENT Merchandise by NECA! Thanks to Collider we have a look at some amazing Divergent merchandise that was at the NECA booth at Toy Fair 2014. Divergent fans should have their eye on NECA, too, because the company also revealed a whole bunch of products for the March 21st release. 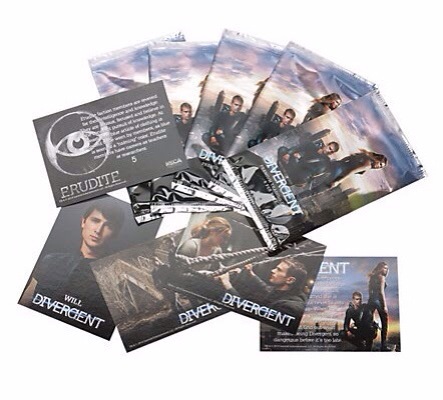 Check out some brand new Divergent merchandise that will be distributed by NECA. The merchandise includes socks, lanyards, phone cases, bracelets, dog-tags, mugs, throw blankets, pillowcases and more. As soon as a link is posted for where you can purchase Divergent merchandise it will be posted. 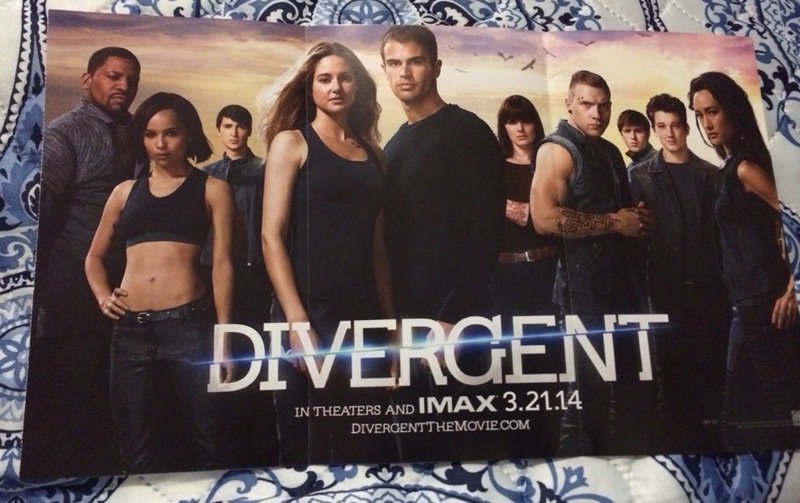 Will you be rocking some of this merchandise when you go see Divergent in theaters on March 21st. 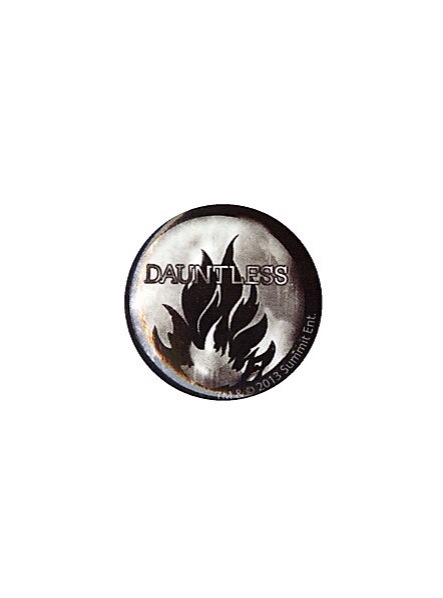 Categories: Divergent Merchandise, Divergent Movie, Divergent News | Tags: Collider, Divergent Merchandise, divergent movie, Divergent news, NECA | Permalink. 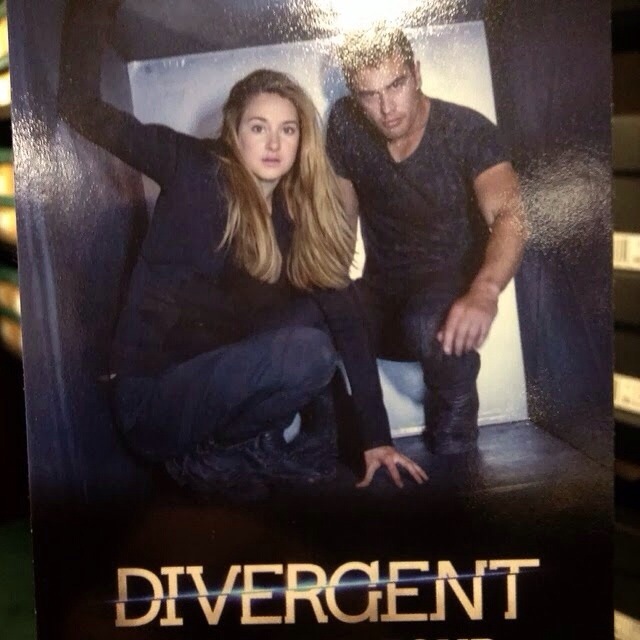 Hardcover & Special Edition of @DIVERGENT Movie Tie-in Edition available at Walmart(Includes Poster)! 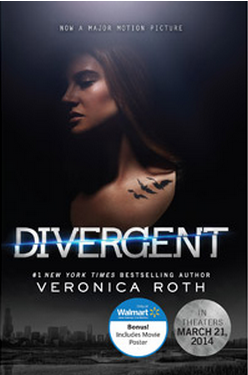 Hardcover and special edition of the Divergent movie tie-in is available at Walmart. The book includes a poster. Walmart also has the Divergent movie tie-in in hardcover. Click here to order the Walmart Divergent movie tie-in with the poster or click here to order the Divergent movie tie-in with Hardcover. Are you heading to Walmart right now to pick up your copy? 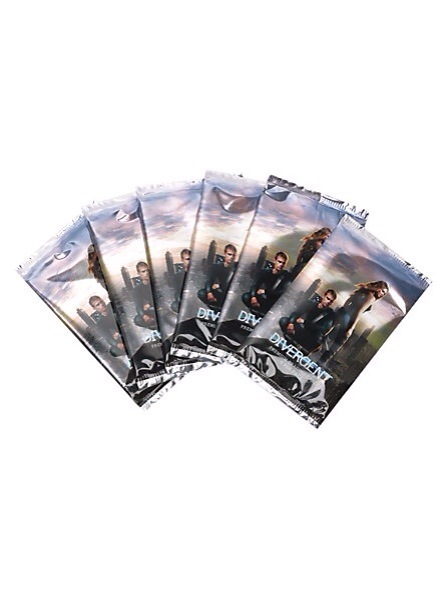 Categories: Divergent Merchandise, Divergent Movie, Divergent News | Tags: Divergent Merchandise, divergent movie, Divergent news, walmart | Permalink.